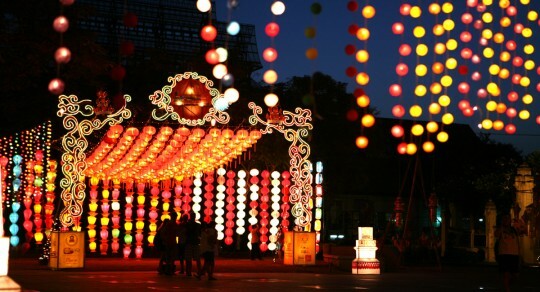 Night scene in Chiang Mai. 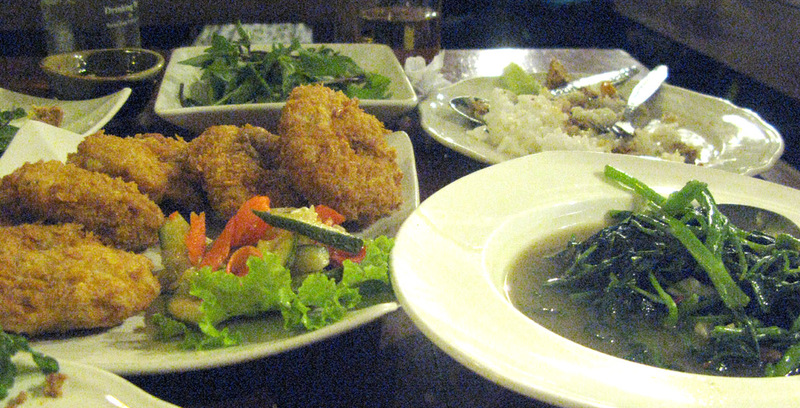 One recent evening while in Lampang, we decided we also deserved a Thanksgiving diner. 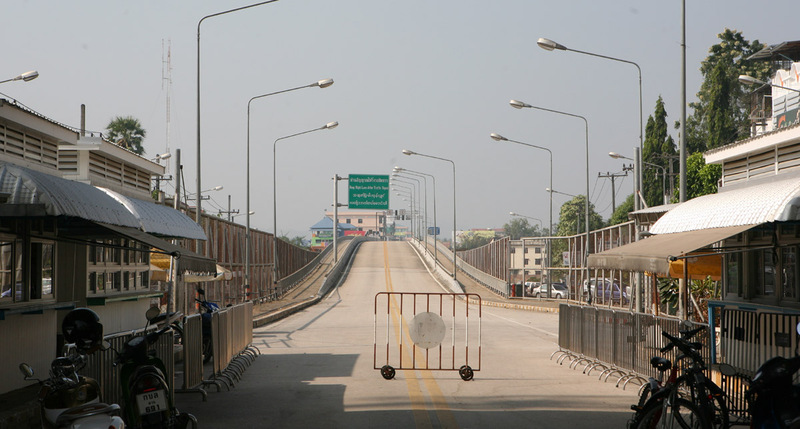 The previous day we were denied entry in Myanmar (Burma), where we intended to spend few hours. It is impossible to go there with a vehicle, but officials of the country usually allow you to spend the day there, keeping your passport in the meantime. The Friendship bridge marking the border between Burma and Thailand. Unfortunately this particular crossing is closed since July as incidents with Karen fighters monopolize the attention of the government. It was still a nice drive through the mountains to get to Mae Sot, so we were happy to have done the trip. I spent the afternoon getting work done on the car, mainly changing the rear brake pads. So we had to backtrack and arrived in Lampang hungry. I thought people back home would be interested in seeing some pictures of typical Thai dishes in these pages, so I will share this Thanksgiving menu with you. We decided to order many little things, served as appetizer in this particular restaurant, but usually found everywhere in the street. In Lampang, a tight fit for my house on wheels. 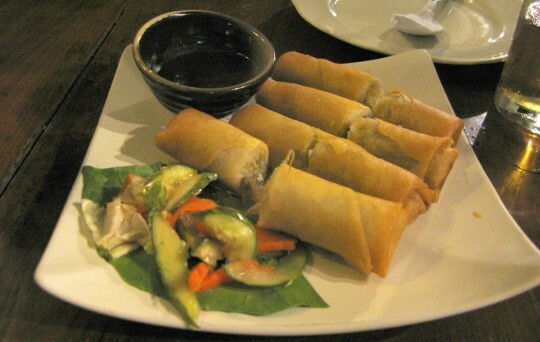 On our way to the restaurant, we bought cooked quails eggs, and when comfortably installed, we began the meal with classic pork spring rolls. Then, the waitress placed in front of us a plate of bacon-wrapped chestnuts. By then, unaccustomed to so much food, we were already thinking that maybe we should not have ordered so many dishes. But we carried on, emptying a bottle of Singha beer as a huge pot of rice was brought to us. 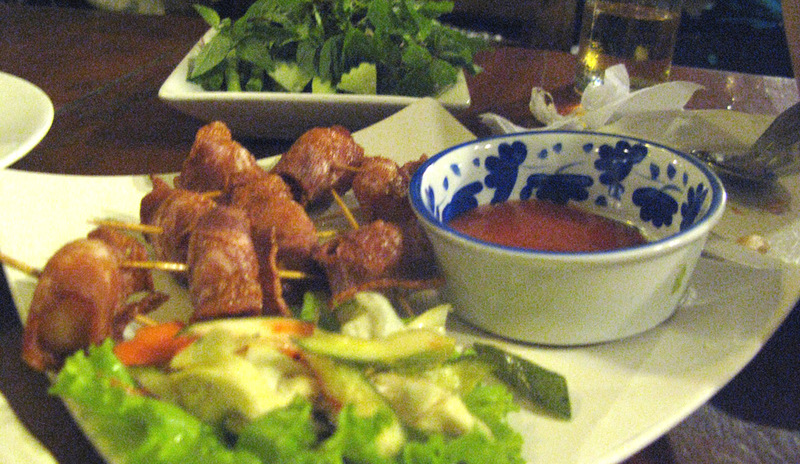 A plate of stirred-fried pork. A specialty of the house was a particular plate of pork which I can’t remember the name. When I ordered, the waitress asked if we wanted it to be spicy, to wish I answered “Of course”. As the dish nearly killed us, I am not sure I would order it this way again. Another intriguing delicacy was the egg-stuffed fish cake. Very good, but by this time, it became difficult to continue stuffing our faces. Shrimp puffs and morning glory. Then we got the famous morning glory, a Chinese influenced dish where the vegetable is flash-fried with garlic and chilli. By then Kathryn was not speaking anymore. Another order we got was shrimp puffs (left on the picture, look like donuts) which we kept for breakfast the following day. The complete meal was under US$20. We dragged ourselves back to the tent where we slept like dead people. Regardless, in the morning we were ready to eat more and the shrimp puffs went down the hatch with strong coffee. 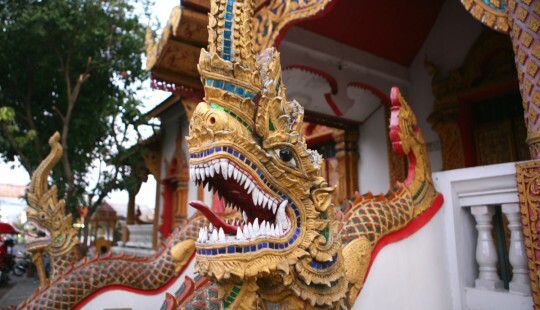 Outside decoration of a temple in Chiang Mai. Only sixty miles separated us from our next destination, Chiang Mai. The second biggest city in the country, it is also a huge touristic destination. Westerners come from everywhere, and you can’t help but sometimes think that there are more white people than Thai in the Old City. Because it can be challenging to camp in large populated areas and be in the center of the action at the same time, we decided to take a room in a backpacker hotel (US$13 a day, Smile House). There we relaxed and toured the city. 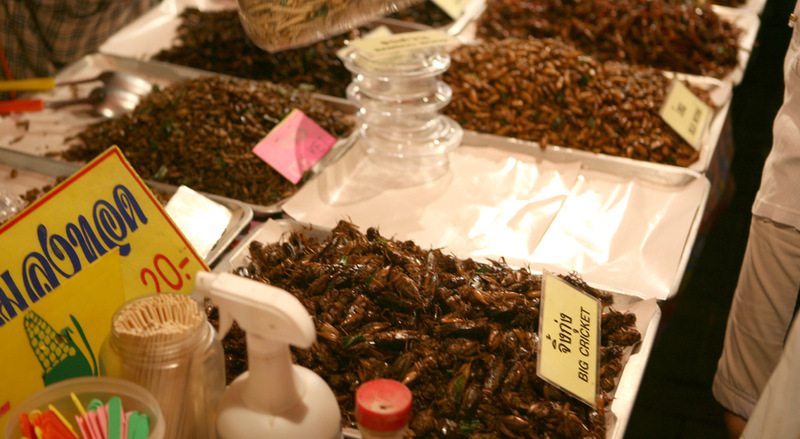 We didn’t try to eat the many kind of worms and crickets sold in the market. We were lucky enough to be in the city on a Sunday, day of a weekly big night market. Two days later, Kathryn took a flight back to Bangkok as I was getting ready to go back on the road. Exciting Laos is next, and it should be a more difficult destination. 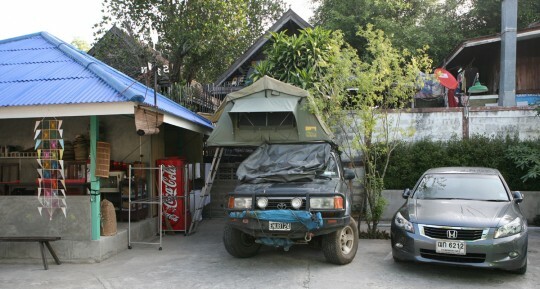 The first challenge will be to find a boat to cross the Mekong River with my truck. Sounds like the Friendship bridge wasn’t very friendly…. The food looks so good, until I get to the crickets Great post – as always! Oooh, yummy food. The scenery in this area is just beautiful. Enjoy! Becareful when you go to Laos. According to the Dublin to Sydney (website down) guys, they got pretty messed up from eating pizza there 8 years ago. Apparently, the pizza was sprinkled with chopped pieces of opium and that messed them up good for 3 days! 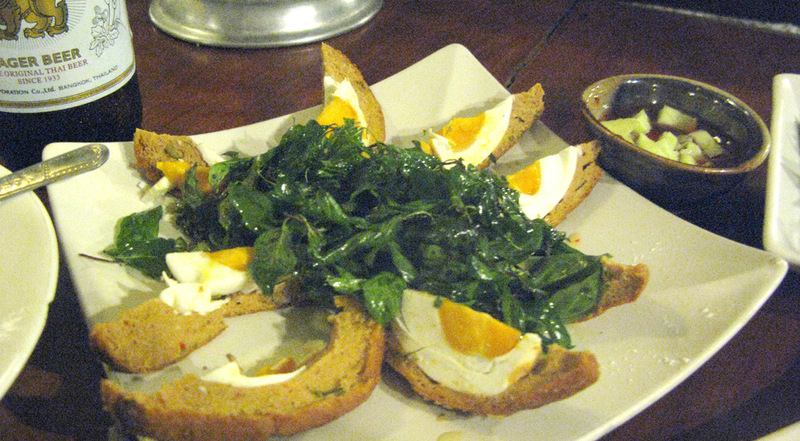 Word has it that the locals eat that way but also crooks count on tourists eating this stuff to rob them! So if you see strange looking greens in whatever food you’re served, don’t eat anything on that plate! I’m pretty sure the juices are enough to get asleep pretty fast! Hey buddy. Great post. I worked at Sea Thai Restaurant in Williamsburg Brooklyn. Reminded me of it. That’s a pretty memorable place to be for Thanksgiving! I spent my Thanksgiving in Chiang Mai three years ago..having a typical kantoke dinner. It’s more enjoyable for me than the typical American turkey fare. 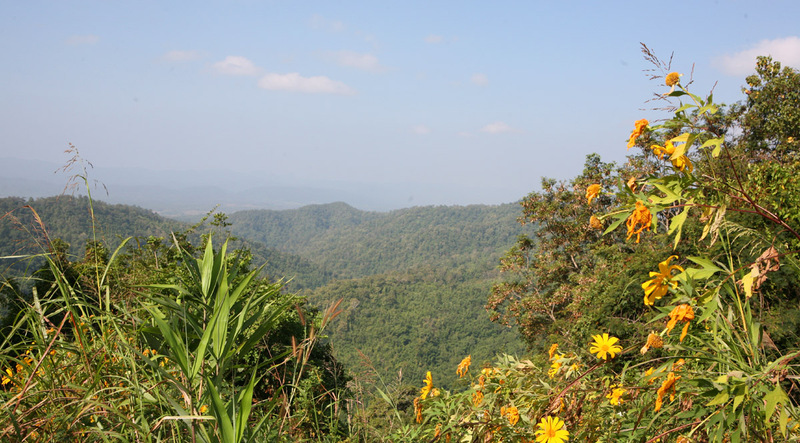 So you’re headed to Chiang Rai? It’s a lot smaller than Chiang Mai. If you get the chance, check out Doi Tung. It’s the former residence of the king’s mother before she passed away. The scenery is beautiful up there. I presume you’ll also be heading to Sop Ruk, where the Golden Triangle is? I am soo enjoying your blogs! I think you must be the bravest person I know – not many would do it ALONE! sounds like a fun and relaxing time you guys had. Not to mention tasting different sumptuous thai foods. Reminded me of my visit to Thailand waaaay back..was asked, “do you like it spicy?” of course I said “of course”..two tablespoons later, I can’t talk anymore. LOL! Learned my lesson pretty quick. So, now you are all alone to continue with your journey. Hope you’ll have more fun and great experiences but must come home safe. Good Luck and God Bless! i loved everything about this post! I loved your Thanksgiving dinner and totally understand your wanting the pork dinner spicier – yummy! And then there’s the worms … a totally western point of view and understand when i share that “yuck to the worms.” sorry i’m exhibiting my biases. quite frankly, our family’s Thanksgiving dinner of turkey (it was juicy), stuffing, gravy, green beans, corn, stuffing, mashed potatoes, macaroni and cheese, pecan pie, pumpkin pie, and lots of wine and beer is still the bestest dinner i look forward to every single year. you’ve missed two Thanksgivings and two Christmases; i know you’re looking forward to being home for Thanksgiving and Christmas 2011. My Gosh!!! This is GREAT!!!! Who is Kathryn? Where are you going on the road? Why are you in Thailand? Spicy…um???? Not how spicy? Very interesting. At Thai restaurants here we are used to how spicy, 1-5. From your comment it sounds like my usual 3 may have been too much. Nevertheless I LOL at your comment. 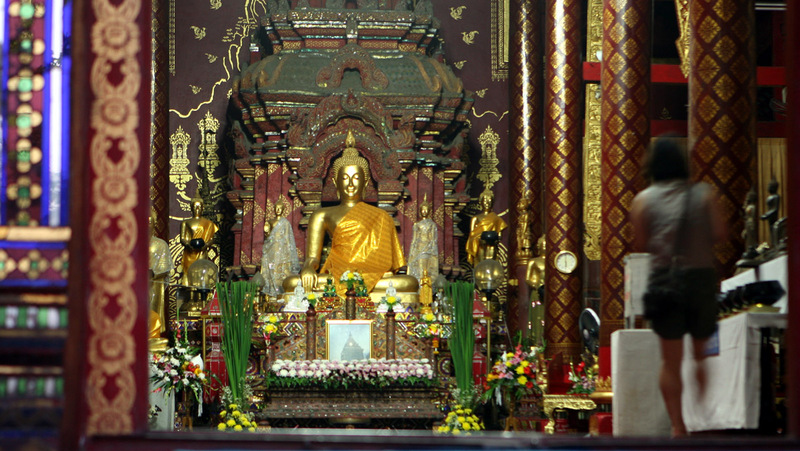 Great photos and thanks for the thoughtful captions So it is Laos next? Looking forward to reading all about your experiences with people, places and things. Enjoy and stay safe. Nice post. As Joy Maria said, it sounds like the spicy thing in Thailand is way too spicy to anyone(even in Indian standards). The food looks very exotic. Nice pictures. Stay safe!! Glad you had a “Thanksgiving dinner” with a friend. It looks like my kind of “dinner” only not so spicy.. I love the temple pics. As always, be safe! wow – thanks for thinking of us and putting pics of the thai food ! looks great! and, i, too, would have ordered it “spicy”; all for under $20 – not bad; glad you had your “thanksgiving” feast and weren’t alone…. Still following along and enjoying all your adventures, the pictures are wonderful and I hope you continue to be safe! I am in Tennessee and would love to catch up with you when you are returning home and coming thru here. Feel free to contact me if you need anything on that leg of the journey. I have a group of travelling buddies and we would love to buy you a drink and awesome meal while in the South. 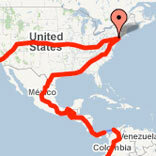 I am an unrepentant travel-addict and would get a huge “high” off your stories! get ready for next trip. your Car maintennance skills and the good quality of that toyota truck. Thanks for the post. I enjoyed your trip in Thailand . Picture of foods look so good!! 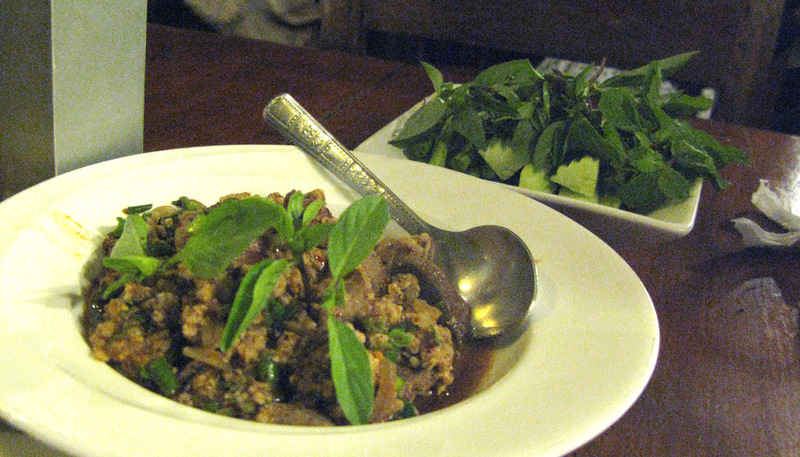 BTW, I think the pork dish call “Nam Tok” in Thai. And, I think you had the original tase of it…lol.